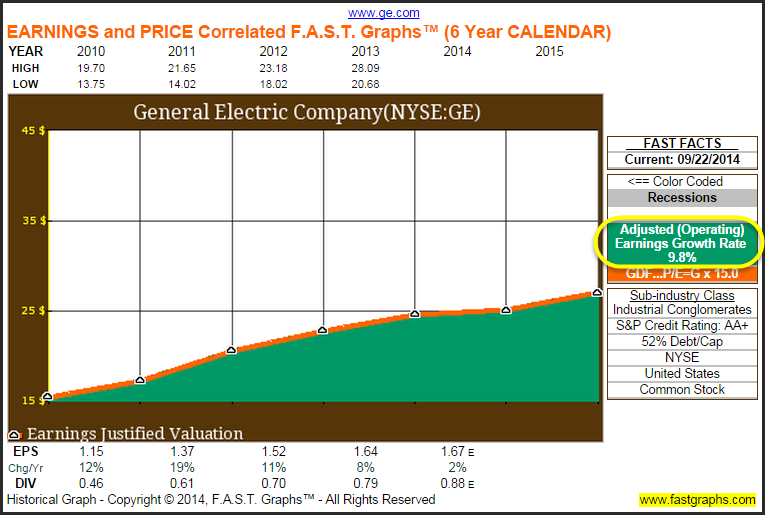 Can General Electric Return to its Previous Blue-Chip Dividend Growth Stock? General Electric (GE) has announced a strategy and new focus to be the world’s best infrastructure and Technology Company. Already in 2014, the company has announced that they have taken significant steps to reshape and refocus their portfolio. In the future the company has a stated goal to achieve 75% of their earnings from their industrial business by 2016. The recent announcement to divest their appliance business appears to support their objectives. The important question for prospective investors is can they achieve these goals, and by doing so return the company to its previous status and legacy of a blue-chip dividend growth stock? This article is offered to help potential investors answer that important question. “General Electric Company operates as an infrastructure and financial services company worldwide. The company’s Power and Water segment provides gas, steam and aeroderivative turbines, nuclear reactors, generators, combined cycle systems, controls, and related services; wind turbines; and water treatment services and equipment. Its Oil and Gas segment offers surface and subsea drilling and production systems, equipment for floating production platforms, compressors, turbines, turboexpanders, high pressure reactors, industrial power generation, and auxiliary equipment. The company’s Energy Management segment provides electrical distribution and control products, lighting and power panels, switchgears, and circuit breakers; engineering, inspection, mechanical, and emergency services; motor, drives, and control technologies; and plant automation, hardware, software, and embedded computing systems. Its Aviation segment offers jet engines, aerospace systems and equipment, and related replacement parts for military and commercial aircrafts; and maintenance, component repair, and overhaul services. The company’s Healthcare segment offers medical imaging and information technologies, medical diagnostics, and patient monitoring systems; and disease research, drug discovery, and biopharmaceutical manufacturing services, as well as remote diagnostic and repair services. Its Transportation segment provides freight and passenger locomotives; diesel engines for rail, marine, and stationary power applications; railway signaling and communications systems; underground mining equipment; motorized drive systems; information technology solutions; and replacement parts. Its GE Capital segment offers commercial loans and leases, fleet management, financial programs, credit cards, personal loans, and other financial services. 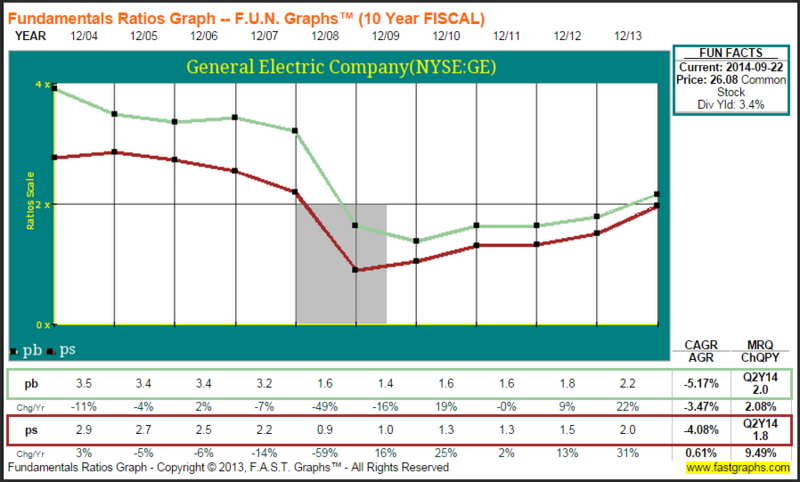 The following earnings only FAST Graphs™ on General Electric illustrates the dynamic nature of a company’s earnings per share growth over different time periods. Earnings growth is a dynamic calculation that varies when graphed from one timeframe to the next. Consequently, it’s important to review several timeframes when evaluating a company’s historical earnings growth rate. 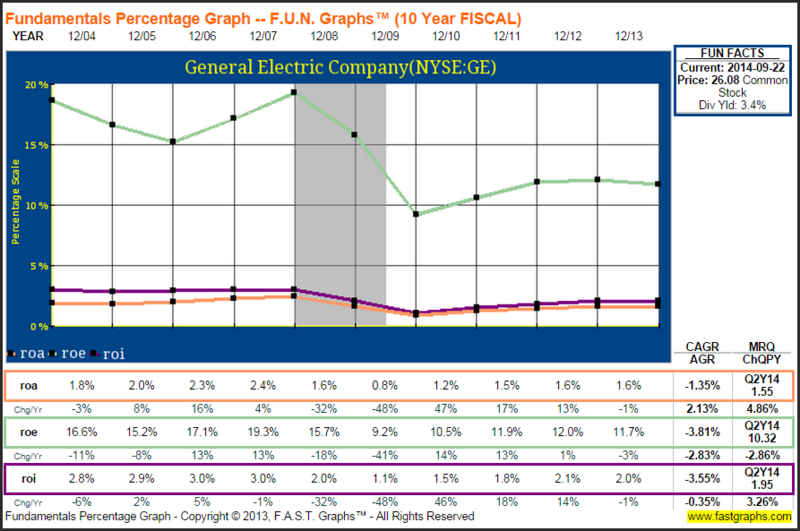 The following 15 calendar year, 10 calendar year, and 6 calendar year graphs illustrate how dynamic and different earnings growth has been for even the blue-chip General Electric. (See earnings growth rates circled in yellow). General Electric built its reputation as an industrial products producer and as such generated a strong historical record of earnings and dividend growth. This record and reputation gave it the well-deserved status as one of the bluest of all blue-chip stocks. But, under the guidance of Jack Welch the company morphed into what could best be described as a financial services powerhouse. Although this generated strong and consistent profitability while the sun shined, the financial crisis induced clouds that brought on the Great Recession and changed the company’s operating record for the worst, at least temporarily. 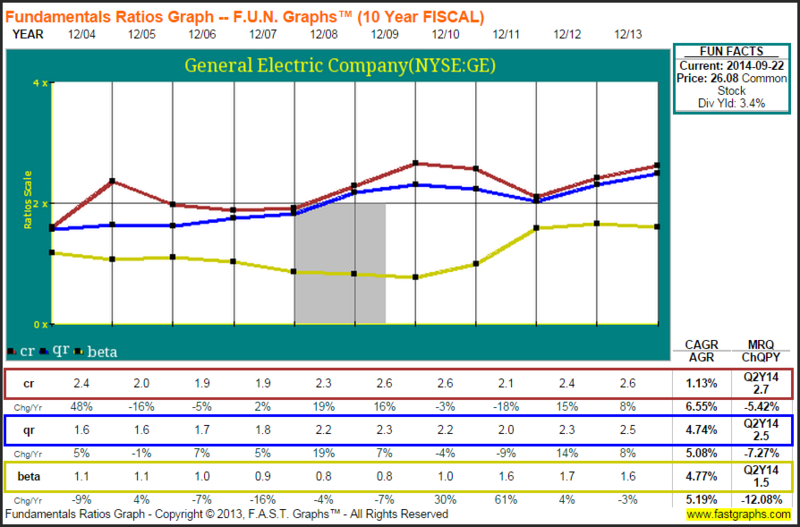 General Electric’s profits fell precipitously in 2008 and 2009 as evidenced below. With an increased exposure to financial services, this once steady dividend growth juggernaut produced essentially no operating growth since 2006. In fact, the company’s operating earnings have yet to return to their previous pre-recession peak. Since the Great Recession, General Electric has reduced their GE Capital segment and has the stated objective to generate 70% of earnings from the industrial segment by 2016. Their current theme is progress, and since the beginning of 2010 operating earnings have progressed nicely, averaging 9.8% per annum growth. 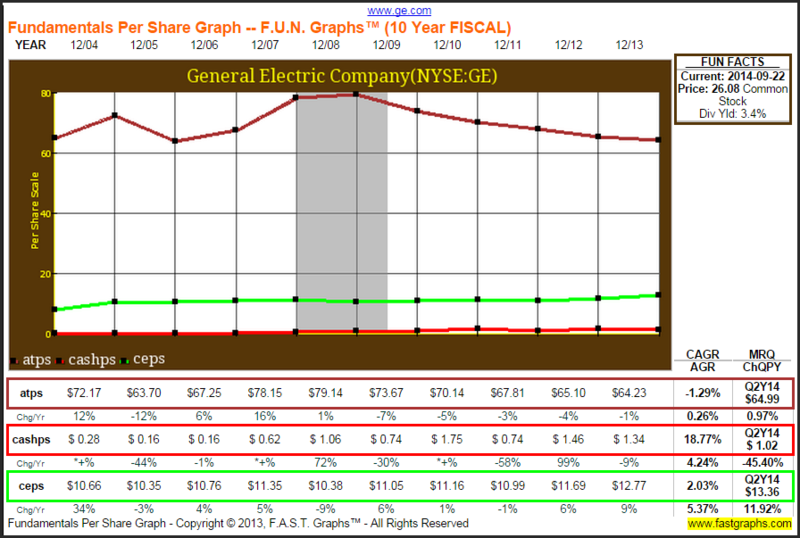 In conjunction with falling earnings during the Great Recession, General Electric dramatically reduces their dividend. This was a shocking development to long-term General Electric shareholders. 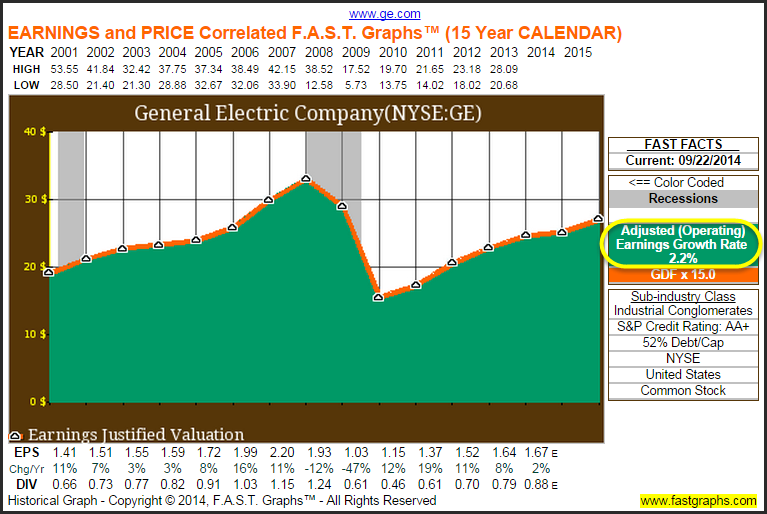 There are investing lessons and investing principles that are revealed by examining the earnings and price relationship of General Electric’s stock since 2001. The first lesson is the danger of overvaluation that was evident coming into the recession of 2001. This was a time when General Electric was considered one of the bluest of all blue-chip companies that bred overconfidence. Once that confidence was shaken, General Electric’s stock price fell to a more rational and fundamentally-justified level. Price tracked earnings at a quality premium valuation from 2002-2008. General Electric’s stock price fell precipitously in conjunction with a drop in earnings, and a dividend cut as we entered the Great Recession of 2008. Since that time, General Electric’s stock price has closely tracked operating earnings and their dividend has begun rising again with renewed earnings growth. This timeframe clearly illustrates the importance of earnings and their influence on stock price in the long run. Where earnings go, stock price and dividend income is sure to follow. Since the beginning of 2010, General Electric’s stock price has closely tracked and correlated with renewed earnings growth, and the dividend has been once again rising accordingly. The critical question to ask is – has General Electric returned to its legacy of a reliable blue-chip dividend growth stock? 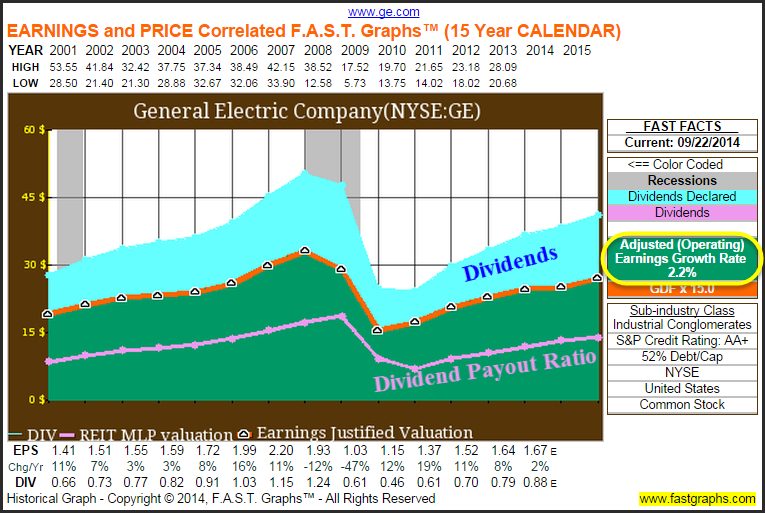 General Electric’s current dividend yield and current valuation appear very attractive considering current stock market valuations. Maybe it is time to forgive their past indiscretions? The dark blue line reflects the fiscal year-end P/E ratio for General Electric since 2001 (the right scale on the graph). Clearly, General Electric’s P/E ratio had been falling, but has stabilized since 2012 to a consistently market applied P/E ratio of approximately 15. Historical performance is functionally related to earnings growth coupled with starting valuation. When performance is properly measured, it is imperative that starting valuation be considered in conjunction with earnings (and dividends, if any) growth. 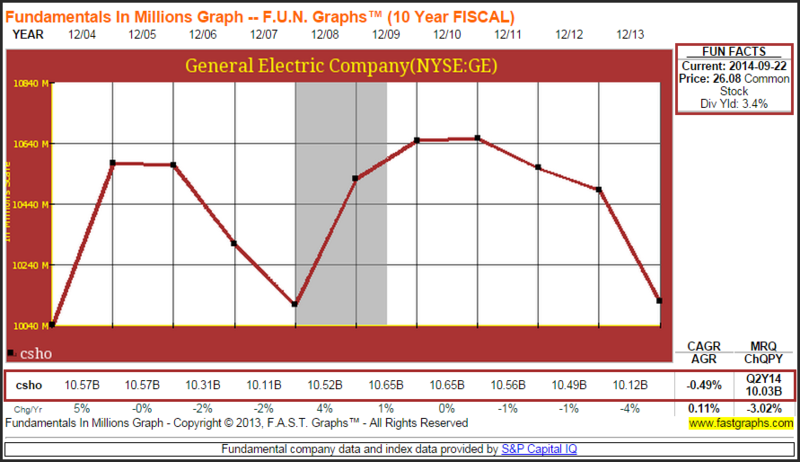 In the case of General Electric, since the beginning of 2001, there has been no earnings growth primarily as a result of the financial debacle leading to the Great Recession. Poor operating results over this time led to poor performance for shareholders to include a substantial and severe dividend cut. 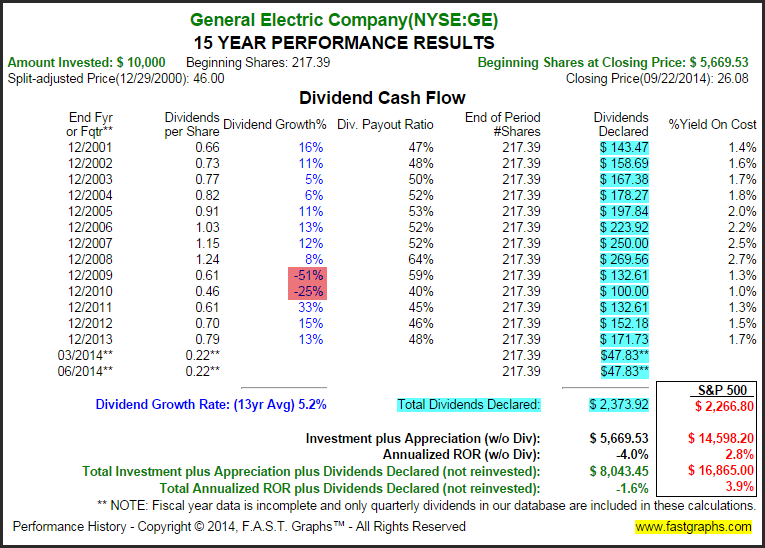 General Electric has provided shareholders excellent performance since the beginning of 2010. Dividend income has been substantially above the S&P 500. Capital appreciation has been strong but slightly below the S&P 500. However, considering that General Electric is now fairly valued and the S&P 500 moderately overvalued justifies the minor capital appreciation shortfall against the market. 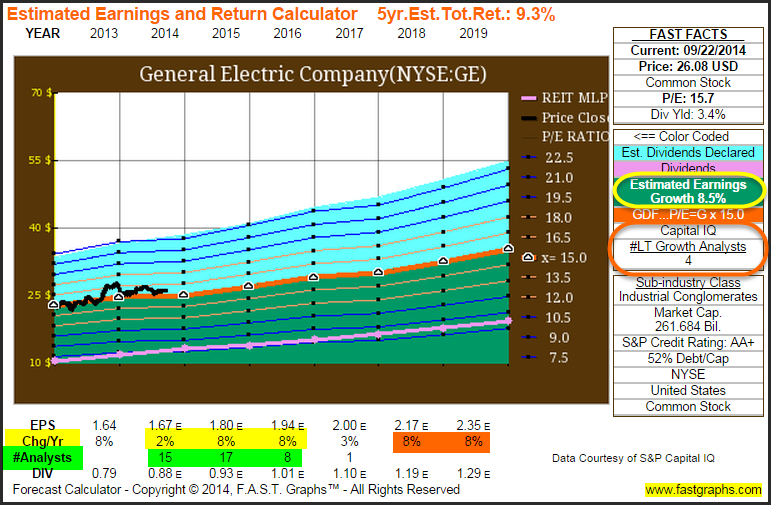 The “Estimated Earnings and Return Calculator” provides several specific future year’s earnings forecasts. Specific near-term earnings forecasts (varies from two to four years) are provided to include the number of analysts reporting to S&P Capital IQ (yellow and green highlights). Additionally a long-term (three to five year) growth rate is also provided (orange highlights). The specific number of analysts offering the long-term forecast is found in the FAST FACTS box (orange circle). 15 analysts expect 2014 earnings growth to come in at a weak 2% growth rate, followed by 17 analysts that expect 8% earnings growth for fiscal 2015. These near-term forecasts are consistent with estimates for the market’s growth rate. If these analysts are proven correct, General Electric’s substantially above-market dividend yield and fair valuation indicate it to be an attractive intermediate-term investment. Shareholders in publically-traded companies, even though they are passive owners, can expect to be rewarded for their investment in proportion to the company’s earnings capacity. 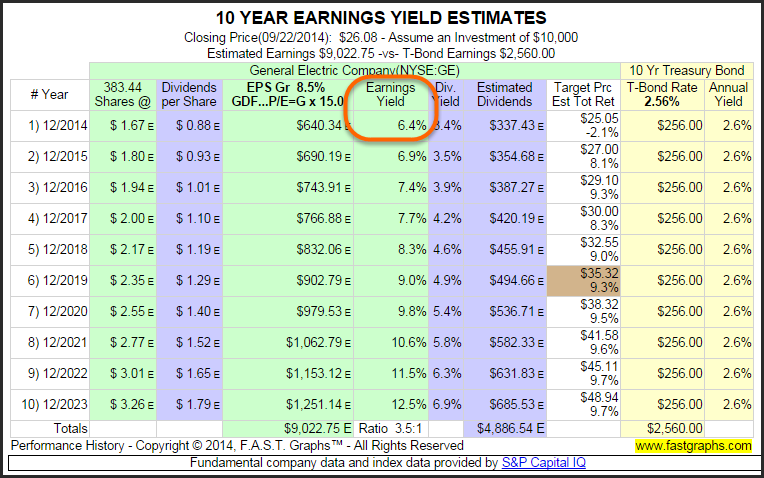 Consequently, the earnings yield calculated from current and future (expected) earnings represents an important valuation consideration. The only apparent weakness is with assets per share (atps). However, the company has been divesting less profitable divisions in order to focus on more profitable ones with better growth prospects. Gross and net profit margins have softened a bit over the last 2 years. However, net profit margin has shown excellent progress in their last quarter. 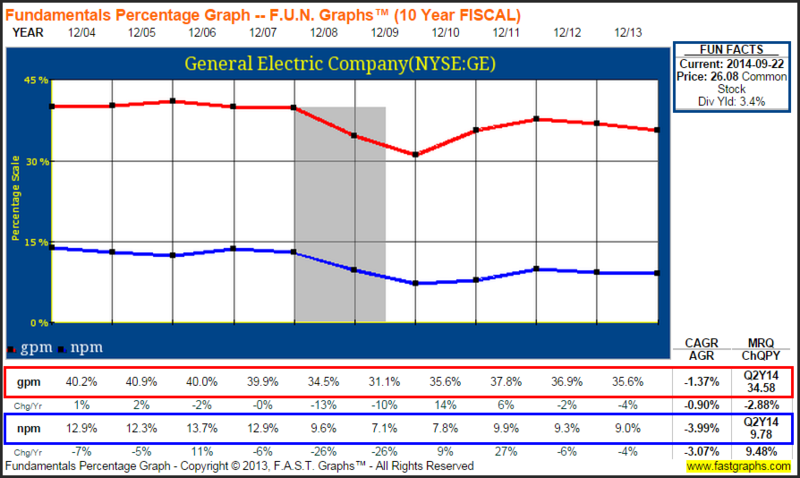 As General Electric reinvents itself the company’s returns on assets, equity and invested capital have stabilized. The quick ratio (qr) also known as the acid-test ratio, measures a company’s ability to meet short-term obligations by utilizing its liquid assets. Generally speaking, a quick ratio of one or better is considered healthy. 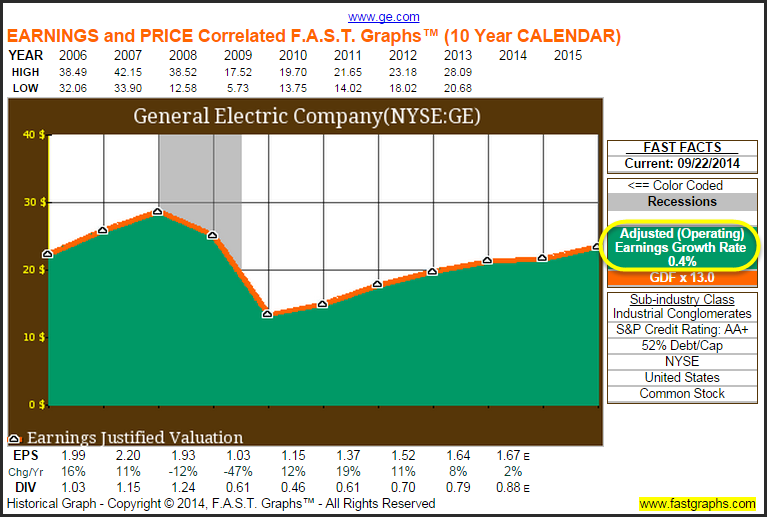 General Electric’s quick ratio for the 2nd quarter of 2.5 is strong and improving in recent years. Additionally, the current ratio (cr) measures the company’s ability to retire its short-term liabilities (debt and payables) with its short-term assets (cash, inventory and receivables). This important ratio is often referred to as the liquidity ratio and is a good indicator of a company’s ability to remain a going concern. 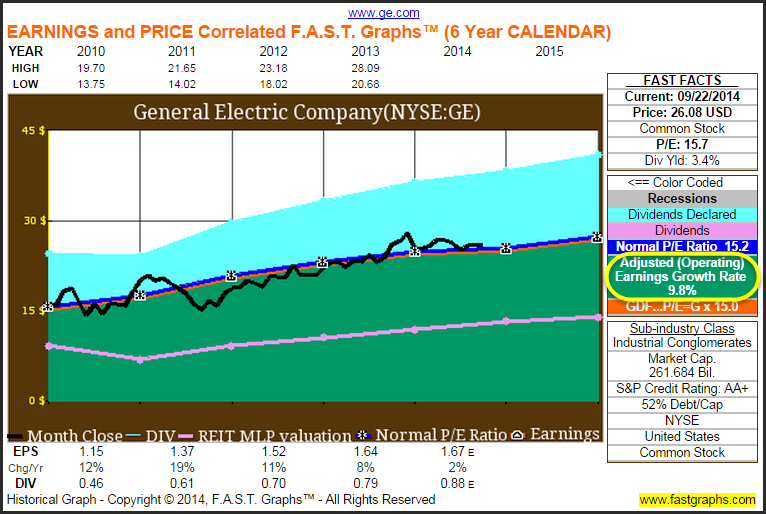 General Electric’s current ratio appears healthy and is improving. Regarding share buybacks, they are considered friendly because they are anti-dilutive. However, share buybacks should only be considered shareholder-friendly when management is buying back shares when stock price is sound or undervalued. 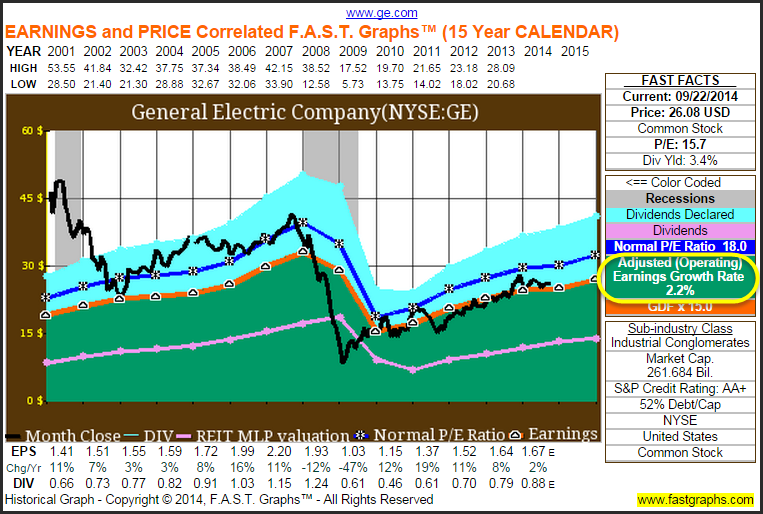 General Electric appears to be buying back its stock at a sound valuation. General Electric had let its shareholders down due to its aggressive increase and commitment to GE Capital. However, since the financial crisis – that has changed. 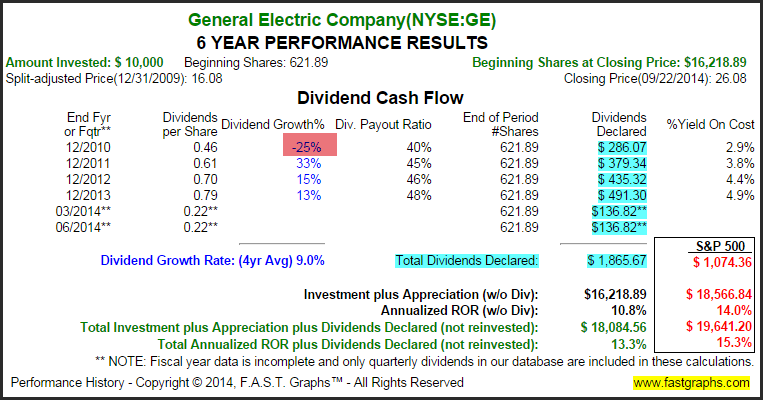 With good valuation, and attractive dividend yields hard to find, General Electric might deserve a second look. At the very least, it appears worthy of conducting further research and due diligence on. Disclosure: Long GE at the time of writing. This entry was posted in FAST Graphs At-A-Glance and tagged GE. Bookmark the permalink. 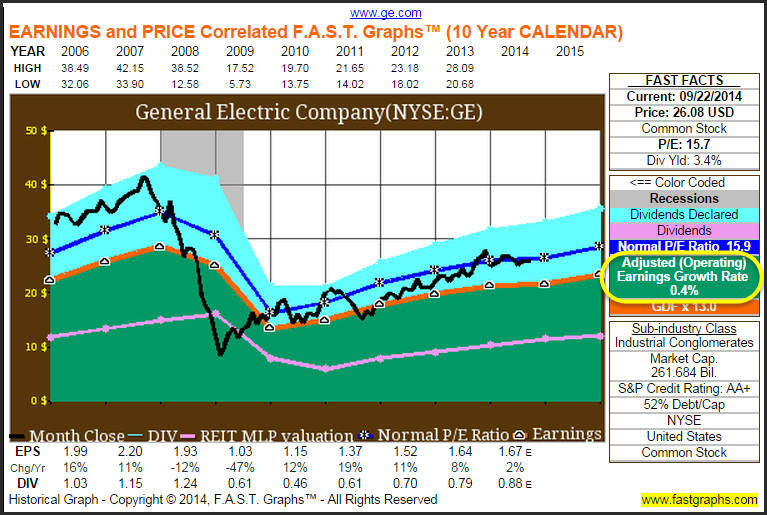 ← Can General Electric Return to its Previous Blue-Chip Dividend Growth Stock?